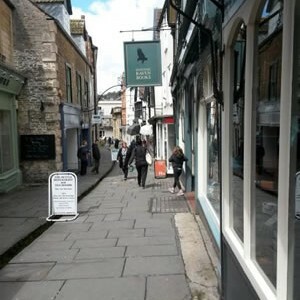 In the small and arty Somerset town called Frome, the independent book shop ‘Hunting Raven’ is in a perfect, quaint setting. 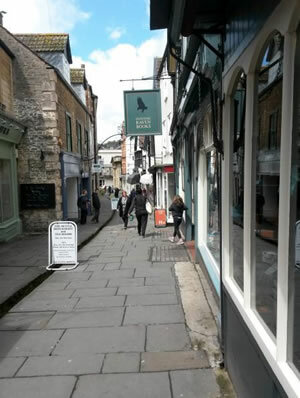 The shop is situated on a cobbled street called Cheap Street, with a small river (the leat) which runs down the centre of the street. 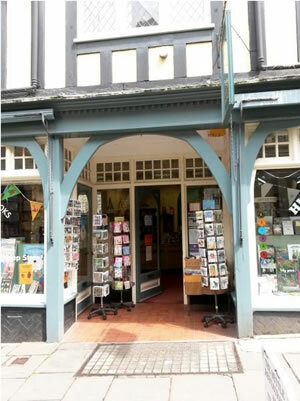 The bookshop’s black and white building, large glass windows and wooden arched entrance, welcome you through their doors. 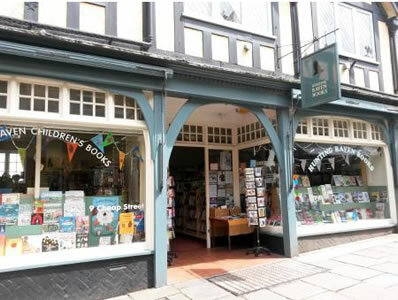 One window of this now extended shop is dedicated to displaying children’s books, to complement its large indoor section. 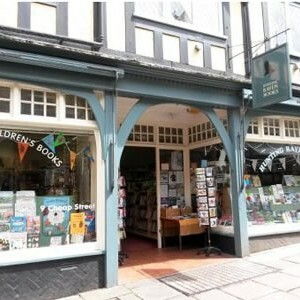 The rest of the shop is filled great books, both fiction and non-fiction. In an aisle like arrangement on the entrance are displayed new releases to catch your eye or help you find great new books to read. 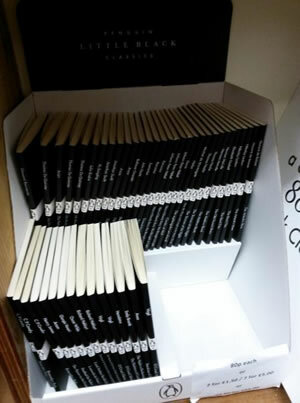 After browsing all the shelves of books, we found the Little Black Classics collection, skimming our eyes across the spines of the books to decide which we wanted to buy. 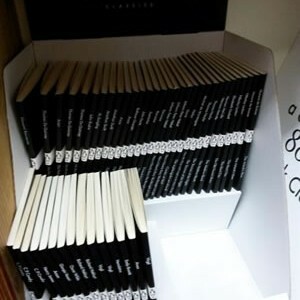 It was our first buy of these new little books to start our collection, so the decision was hard. We were told by one of the shop assistants that their selection was considerably smaller since a few people had come in to buy all 80 (I wish! ), but they could order in any we wanted. Choosing four of the Little Black Classics, and therefore taking advantage of a deal they had on (2 for £1.50) we headed to the till and paid. Leaving the shop we headed down the cobbled streets and on home. 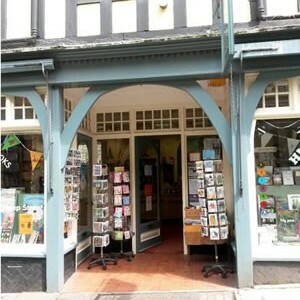 I am so lucky to have such a lovely bookshop in my own town, right on my doorstep, I have been before and I will obviously continue to go in the future.